Lighten up your dinner with delicious recipes for chicken, pork, beef, and chopped salads. This gorgeous salad features breaded chicken tossed with lettuce, broccoli, and grapes, and topped with almonds and a honey and Dijon mustard vinaigrette. 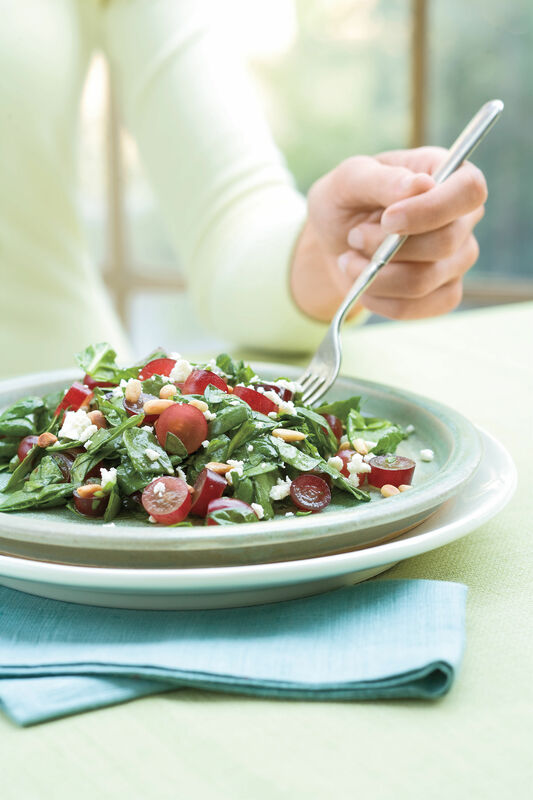 Spicy dressing is the perfect finish for this hearty salad. Israeli couscous is also sometimes labeled pearl couscous. Serve this brand-new twist on the old rice salad warm, or make it ahead, chill, and serve cold. Even small bits of ham add huge flavor. 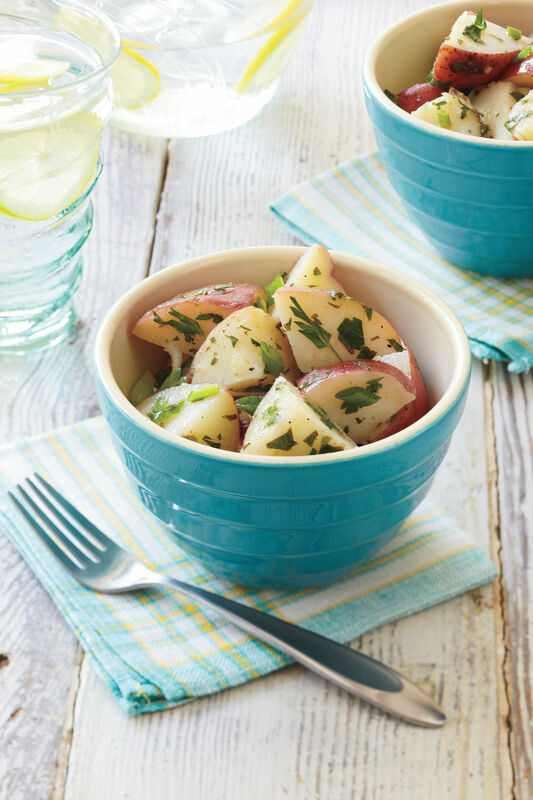 Main dish salads are a refreshing change for your easy weeknight meals. Try this Tomato-Chicken Salad and serve it with seasoned ciabatta bread. Start on the Quick-Pickled Cukes first, so they soak in flavor. Combining romaine and coleslaw mix makes this dish crispy and crunchy. The soy sauce-flavored almonds are a new favorite in our Test Kitchen. Find them sold in cans alongside cocktail peanuts. Cook the pasta al dente (1 or 2 minutes shorter than package directions specify) so it holds its shape when tossed with the vegetables and vinaigrette. Ripe for riffs, this pasta salad recipe is also delicious with cheese-filled tortellini. 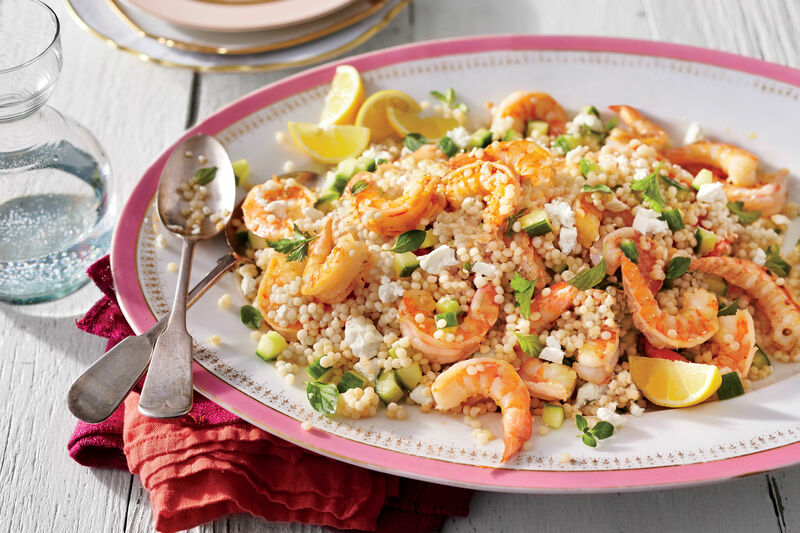 Light and lemony with a hint of honey mustard, Shrimp and Pasta Salad is easily doubled for dinner with friends. Test Kitchen Professional Rebecca Gordon shows you how to cook Shrimp-and-Pasta Salad for supper tonight. 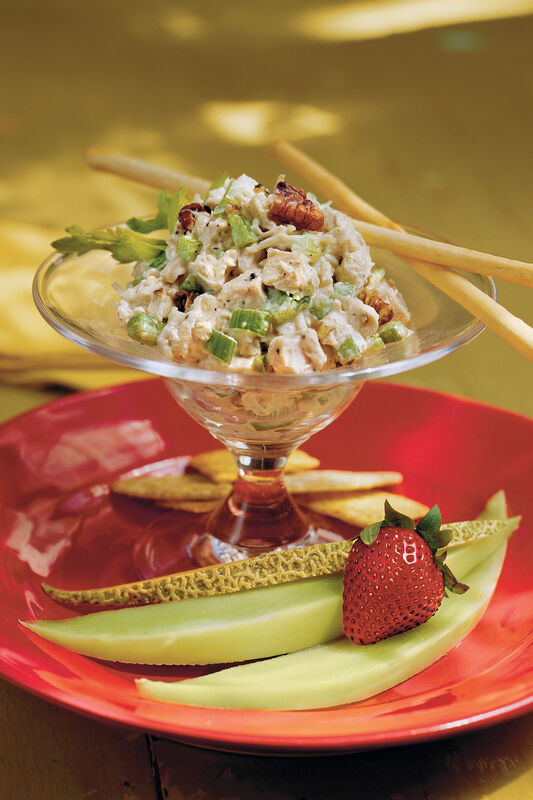 Serve this tasty chicken salad with assorted crackers and grapes for a filling lunch or a delicious brunch contribution. This robust salad is packed with our favorite easy-to-prep Greek foods―garbanzo beans, fresh tomatoes, kalamata olives, and feta cheese. The short ingredient list leaves you plenty of time to whisk together fresh Lemon-Herb Dressing, but substitute a bottled Greek dressing if you prefer. Try a refreshing spin on tuna salad with cannellini beans, lemon juice, oregano, parsley, and green onions. Serve over lettuce with crusty bread and fresh fruit for a home picnic meal. Chicken-and-Strawberry Salad is a combination of flavors and textures that complement each other perfectly. A make-ahead recipe for great chicken salad is like money in the bank when it comes to easy weeknight meals – and this is one the best. A wreath of pencil-thin green beans creates a simple but striking garnish. Serve Calypso Steak Salad on romaine lettuce leaves for an impressive (and nutritious) presentation. To make the salsa mixture ahead, just cover and chill up to 8 hours. Let stand at room temperature about 20 minutes, while steaks marinate in lime juice mixture. Don't shy away from Warm Frisée Salad With Crispy Kosher Salami. The vinaigrette includes slightly sweet sherry vinegar to balance the sharp flavor of frisée. Frisée is a member of the chicory family often used in mesclun salad mixes. Buy bunches with crisp leaves and no signs of wilting. Use all of the leaves except the core. Smoked salmon packs a great flavor punch in this salad supper. A simple dressing of Dijon mustard and lemon juice is the perfect finish. This recipe was originally intended to be served with pan-fried latkes, so the dressing is a bit tart to balance the richness. Whisk in a little extra olive oil serve with French bread for a more mellow flavor.